This a question we all end up asking ourselves from time to time. Whether you are travelling, moving to a new location, or just on an unusual side of town it can be difficult to locate your bank's closest branch location. We offer a variety of quick and easy ways to find banks near your location. You may search by state, bank, or credit union from the links above, but the quickest way to find a specific location is to use the search bar above. Simply enter the city and name of the bank to find nearby locations. On our bank profile page you will be able to view lobby hours to see if they are still open, their phone number should you need to call them, and links to their online banking presence (when available). 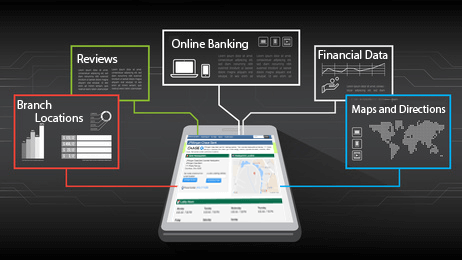 Additional information like ratings, reviews, other nearby banks, financial information, and more is also available.